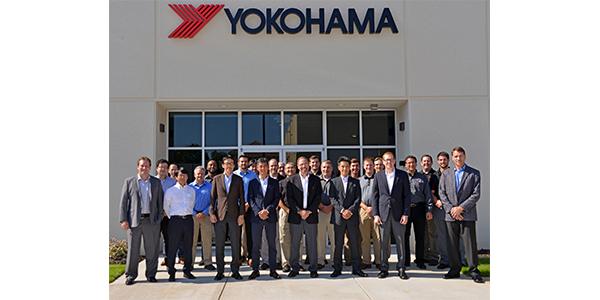 Yokohama Tire Corp. (YTC) officially opened its new tire research and development facility – the Yokohama Development Center America (YDCA) – in Cornelius, North Carolina. Local officials joined Yokohama executives for the ribbon-cutting festivities. The high-tech, 25,000-square-foot building in Mecklenburg County, replaces the temporary R&D office Yokohama has utilized in Concord, North Carolina, since 2016. Thomas Kenny, director of consumer tire development, Dan Steltmann, director of commercial tire development, and Jeremy Kahrs, director of technical service, will all be based out of the company’s new location. Kuze said the U.S. Development Center is Yokohama’s largest overseas R&D center in both functions and number of employees. He noted that by consolidating the company’s R&D activities, Yokohama will be able to accelerate its ability to deliver new products that meet the demands of the market. “Cornelius is a great fit for our company. The proximity to the airport and the skilled workforce is going to make this facility very successful,” he added.